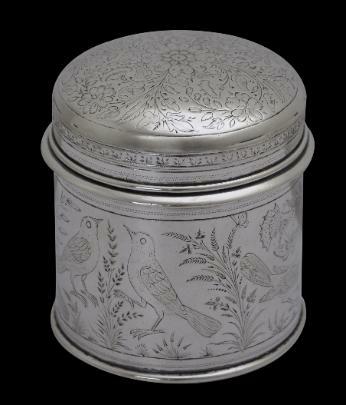 This small box of the purest silver is an example of the rarest type of colonial Indian silverwork, silver that was produced in Alwar, a princely state that is now a part of Rajasthan. 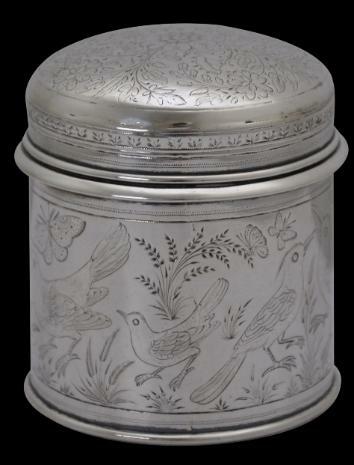 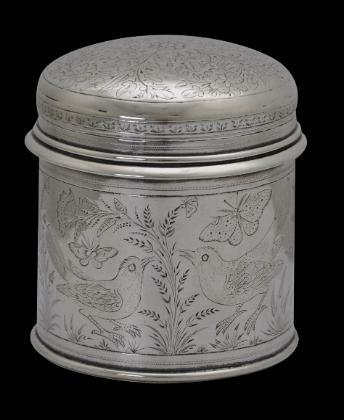 It is of thick-guage silver, lidded, and finely engraved with birds, butterflies and foliage. 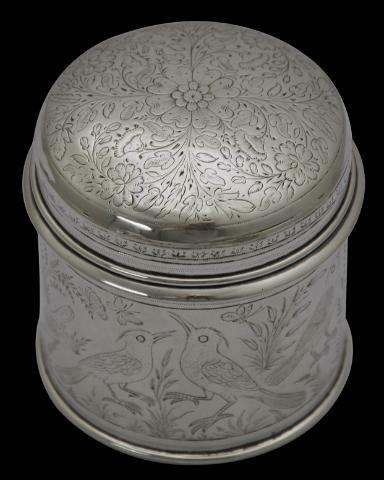 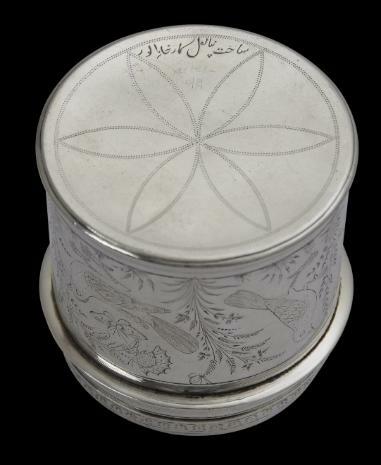 The lid is engraved with a floral and leaf design in a cruciform pattern. 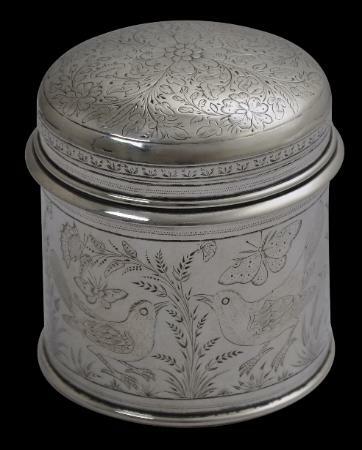 The box might have been intended to serve as a small tea caddy or perhaps to hold powder on a dresser. 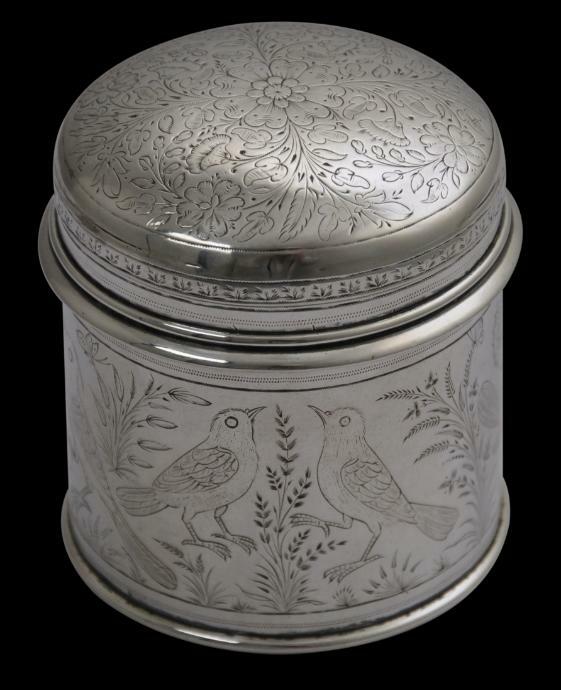 According to Dehejia (2008, p. 181), colonial silver was produced in Alwar for a period of less than ten years, and certainly between 1880 and 1885. 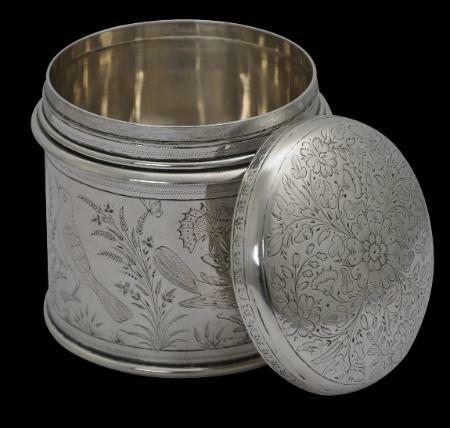 The two principal silversmiths were Panna Lal and Nand Kishore, both of whom studied at the Civil Engineering College at Roorkee. The silver used was particularaly pure and so soft. 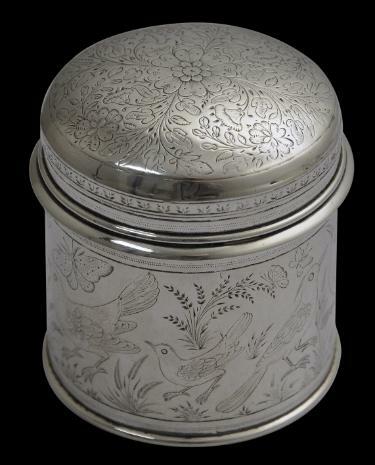 The box is in excellent condition with minor polishing wear to the engraving.